Posted by Alvgear in MMA on August 11, 2016 . 0 Comments. 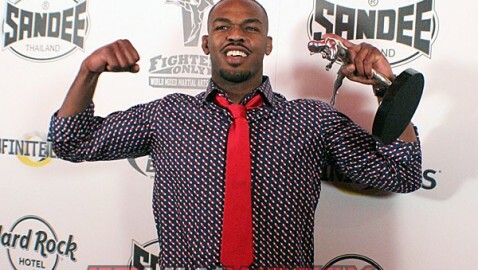 I have not write articles for this blog for a long time.Now i start with discuss light heavyweight division with discussing light heavy weight division.First of all Jon Jones still best fighter of this division,he is not champ right now because of personal life issues and steroids usage.He caught anti estrogen products usage.We ll discuss it later and i ll write another article about steroid usage on combat sports but righ now i only discuss fighters and their situtations.Let s start with champ’s comeback against St Preux after long lay off he made comeback and got decision victory against St Preux.St Preux.St Preux is a big guy for light heavyweight division ,his athletic abilities are excellent.St Preux is a top ten fighter and stylewise it s tough match for any one in this division.He accept this match 3 weeks notice.Jones did great job against St Preux keep fight on the feet first three rounds.He tried to take St Preux down first and third round but he could not.It s not big problem for him because he s better fighter on the feet too.Also he secure takedowns championship rounds.Generally it s very good comeback performance and people still believe that Jon is a number one guy in this division.After that comeback fight eyes on rematch against him vs Daniel Cormier but that could not happen because of steroid usage of Jones.He took some anti estrogen and caught.On the other hand things going very well for Cormier he beat some of the toughest guys of division.He beat Anthony Johnson,Gustaffson and also former middleweight champion Anderson silva First contender is Anthony Johnson.He did pretty well against Cormier but when he started gass out things did change and he caught with RNC.After that title fight he beat Manuwa and Ryan Bader.Stylewise he is the toughest guy for Cormier.Very big guy for Cormier,has excellent takedown defense and knockout power.He s the first guy ever knock Cormier down.But first off all he must pass Glover Teixeira first.That ll be one of the toughest challenge of him.Glover is a good position too.He s in three fight winning streak.Shogun Rua,Ryan Bader,Ovince St Preux are other top ten fighters of ufc.Right now Bellator Champion is Liam Mcgreay.He is undefeated.Best weapon of that guy is his submission skills.He beat Emanuel Newton and get title than he beat Tito Ortiz with submission too but we know that Phil Davis is 1 contender for him and stylewise it s very bad fight for him.Phil has been never submitted,former div 1 wrestler ,good boxing skills.Mma fans looking for this title match but it s not scheuled yet.Other tough guys of this division are former pride fighter,mma legend Rogeiro Nogueira,former ufc light heavyweight division champion Rampage Jackson and new comer Nikita Krylov.